It is not surprising to see many using the terms translation, localization, and internationalization interchangeably. Though each term refers to an entirely different process, the confusion persists, not just among common people, but also (in a few cases) within the industry. In today’s digital world, where owning a business begins with launching a website, it becomes pivotal that one remains well-aware of each of the terms in order to best exploit them. As the name suggests, website translation is simply a process of translating a website from one language to another. Website translation can be done by using a software or hiring the services of human translators and then uploading the translated text separately onto the website. In both the cases, the appearance of the website will remain the same, except for the language. One of the major reasons why businesses go for website translation is to widen their customer reach. Since English no longer remains the dominant language on the internet and more than 70% users prefer browsing the net in their own native language, it naturally becomes unavoidable for businesses to translate their content. A translated website allows businesses to remain in the game and hook their prospective customers across borders by spending minimum effort. Many think that website translation is beneficial only to businesses aiming to go global. However, if one looks at the reality of the cities we live in today, it becomes clear that the majority of places have become cosmopolitan and one can find all kinds of people of different languages and cultures living together. In such a scenario, it becomes important to have varying versions of a website to appeal to all types of people. Also, a translated website acts as an offshore office without necessarily involving a heavy investment. One can use it at any time to water-test a new market before making a final decision on whether to enter or not, depending on the response the site gets. Localizing a website is a fairly complex procedure and demands a bit of research before making a move. Though translation is one of the first steps toward localization, yet it is just the first and there are many other steps to follow. Localization, in simple terms, can be defined as a process of changing the overall look and feel of a website in accordance with the religious, cultural, as well as emotional sensitivities of a local audience. In other words, localization involves taking a peek into the heart and mind of a user and then making tweaks accordingly. Website localization, if done properly, significantly reduces the bounce rate and enhances the chances of conversion. Let us suppose you want to translate your English news website into Persian to target the population in Iran. After completing the marathon task of translation, you find out that the targeted users are not reading your stuff. After much digging, you discover that the appearance of your website is making users cringe. Reason? English is read from left to right, whereas Persian is the exact opposite. This change in reading direction might be making the website look awful and reading difficult. Take another case. You are a footwear seller in Europe. After a successful stint there, you decide to enter the Gulf region. As expected, you study the prospects, get your website translated into Arabic, and begin marketing. However, you realize that there are only a few takers and the bounce rate is alarming. After probing, you realize that the image on the homepage is that of a woman in a body-hugging sports attire with the words “Be Your Own God! (In Arabic)” inscribed on it. Naturally, the quotation, which is directly in contradiction with the strong monotheistic beliefs of the people of the region and the image, which is not appropriate as per the cultural practice, are bound to increase the bounce rate. So, translation alone won’t do; you must make the site relevant and pleasing to the people you are targeting. Hence, website localization, apart from text translation, involves image and video replacement, switching page direction of the website (if required), resolving style and CSS issues, and other delicate matters that hold the potential to make or break the deal. Website Internationalization is totally different from translation and localization. The major difference is that the last two are done at the front end of a website, whereas the former happens at the backend. Internationalization has more to do with making one’s website compatible enough to work with different sets of data, currencies, date & time etc. In other words, internationalization involves the ability of a website to handle and support non-English characters and symbols and various numerical formats apart from keeping the text separate from the code. Website internationalization is a process that precedes translation and localization. In fact, it paves the way for the other two activities and ensures that translation and localization are smooth and error-free. Since it is all about coding, the decision regarding internationalization should be taken prior to the decision to launch a website. 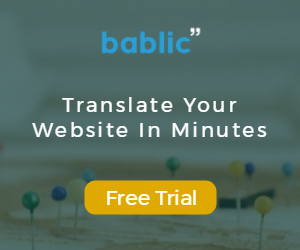 Once your website is designed to support international characters and symbols, you can any time go for translation or localization without worrying about compatibility issues. To sum it up, website translation, localization and internationalization are all different processes. Despite the fact that many use them interchangeably, they are not the same and you should know each one of them in detail in order to use them to your advantage.